Wishing you the very best in the holiday season! Thank you for visiting our page. This year the Magic of Christmas event is November 30, 2018 with the Lantern Parade to start at 6:00 pm. Please join us! 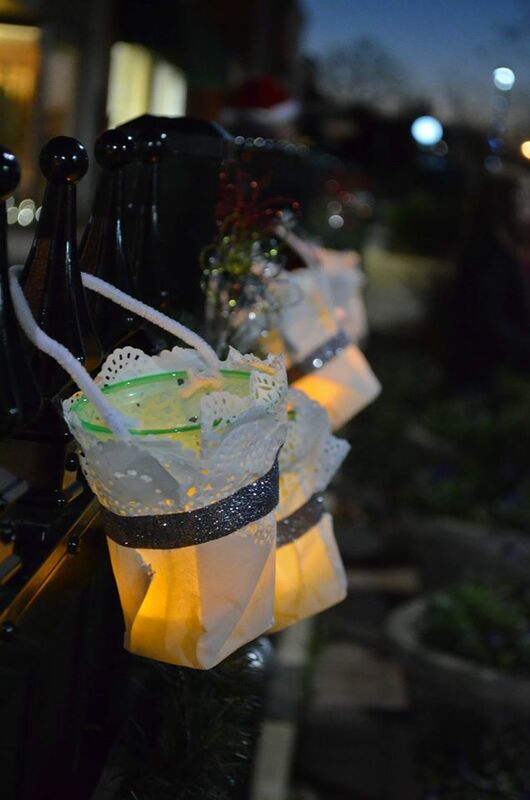 Lanterns will be limited so if you can bring your own. Note: battery powered lights are used in the lanterns no real flames. Christmas Magic in Downtown Madison is a coordinated event with the Madison Parks and Recreation. Ms. Gayle Milam, Events Coordinator works very hard to make downtown Festive and Bright. properties in historic, downtown Madison, AL. The Lantern Parade is a family fun event! Madison has many Parades in the fall. Homecoming Parades for Bob Jones and James Clements High Schools, Street Festival, and the Annual Christmas Parade. This is a wonderful opportunity to help create a beautiful and festive environment in beautiful downtown Madison. Whether using the tree to express your own creativity or to promote a business, it is a wonderful way to add charm to the holiday.